Croatia's Facebook-flavored ice cream is blue, saccharine. How would Twitter taste? A Croatian ice cream shop came up with a flavor called Facebook. It’s drenched in blue syrup. 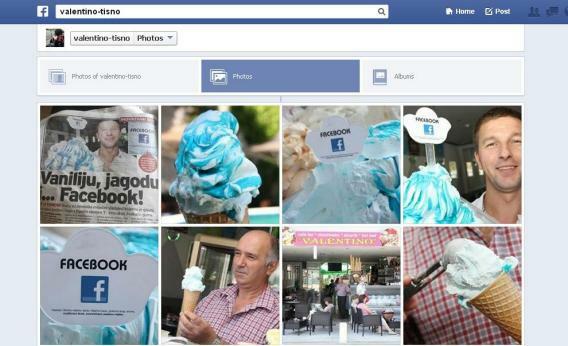 A Croatian ice cream shop has a new hit flavor: Facebook. The site 24sata reports that one of the shop’s owners came up with the concept after observing that his 15-year-old daughter was obsessed with the social network. The ice cream looks and tastes pretty much how you’d expect: blue, syrupy, and saccharine. Customers can’t get enough. Tech-themed ice cream flavors aren’t entirely new. In 2010 the Cambridge, Mass. shop Toscanini’s served up dollops of “Internet” ice cream. It was vanilla mixed with nerds. The Facebook flavor sounds like a trademark smackdown waiting to happen, but it got us thinking: What would other tech companies taste like if they were ice creams? Here’s what we came up with. Readers are invited to add their own suggestions in the comments. Yahoo: Bright purple, tastes like grape sherbet. Was all the rage until a bunch of better flavors came along. Instagram: Sepia-colored. Tastes like you’d imagine ice cream used to taste in the good old days. A popular choice, but at this point it borders on cliché. Netflix: Addictive. As soon as you finish one scoop, a recommendation pops up with another flavor you might enjoy. Microsoft: Full of bugs, but everyone eats it anyway. Often served at corporate functions. Tumblr: An aesthetically pleasing cascade of different flavors, with naughty bits sprinkled in. Snapchat: Melts in your mouth. AOL: Popular with oldsters, who still churn it by hand. Samsung: Virtually indistinguishable from Apple, but slightly cheaper. Square: Only 2.75 percent butterfat. Tesla: Zero calories, and everyone agrees it’s the best ice cream ever made, hands-down. But it’s prohibitively expensive, and in cold weather it turns into a brick.